Achebe, Chinua and Iroaganachi, John. GrandPré, Mary (illus.) How the Leopard Got His Claws. Somerville, MA: Candlewick Press, 2011. *Ahiagble, Gilbert and Louise Meyer. Nestor Hernandez (photographer) Master Weaver from Ghana. Seattle: Open Hand Publishing, 1998. Alakija, Polly. Catch that Goat. Barefoot, 2002. *Alalou, Elizabeth and Ali Alalou. Julie Klear Essakalli (illus.) The Butter Man. Charlesbridge Publishing, 2008. Araujo, Frank / Xiao Jun Li (illus. ); Perfect Orange : A Tale from Ethiopia. Windsor, CA: Rayve Productions, Inc.,1994. *Asare, Meshack. Sosu’s Call. Kane / Miller, 2002. Atinuke. Lauren. Lauren Tobia (illus.) Anna Hibiscus’ Song. Gardners Books, 2011. *Atinuke, Lauren. Angela Brooksbank (illus.) Baby Goes to Market. Candlewick Press, 2017. Atinuke. Double Trouble for Anna Hibiscus. London / : Walker Books / Kane Miller, 2015. Austen, Catherine. Egger, Virginie (illus.) My Cat Isis. Toronto: Kids Can Press, 2011. Barasch, Lynne. First Come the Zebra. New York: Lee & Low, 2009. Barzile, Amishiki . Masayo (illus.) Let’s Play, Tucheze Numbody.Tanzania: Mkuki Na Nyota Publishers / African Books Collective (dist. ), 2011. Beake, Lesley. Karin Littlewood (illus.) Home Now. Watertown, MA: Charlesbridge, 2007. *Bower, Tamara. How the Amazon Queen Fought the Prince of Egypt. New York: Atheneum, 2005. *Bulion, Leslie. Nicole Tadgell (illus.) Fatuma’s New Cloth. North Kingstown, RI: Moon Mountain, 2002. *Christian, Angela and Knowles, Kathy. Opare, Edmund (illus.) Akosua’s Gift. Winnipeg: Osu Children’s Library Fund, 2011. Daly, Niki. Happy Birthday, Jamela. New York: Farrar, Straus and Giroux, 2006. *Daly, Niki. Jamela’s Dress. New York: Farrar, Straus, & Giroux, 1999. Daly, Niki. Next Stop Zanzibar Road! Boston, MA: Clarion Books, 2012. *Daly, Niki. Once Upon a Time. New York: Farrar, Straus and Giroux, 2003. Daly, Niki and Jude Daly; Thank You, Jackson –How one little boy makes a BIG difference. London: Frances Lincoln, 2015. Daly, Niki. Welcome to Zanzibar Road. New York: Clarion, 2006. Daly, Niki. What’s Cooking Jamela?. New York: Farrar, Straus, Giroux, 2001. Daly, Niki. Niki Daly (illus.) Where’s Jamela? New York: Farrar, Straus & Giroux, 2004. *Dery, Portia. Toby Newsome. Grandma’s List. African Bureau Stories, 2017. Diakité, Baba Wague. Hatseller and the Monkeys. New York: Scholastic, 1999. Diakité, Baba Wague. The Magic Gourd. New York: Scholastic, 2003. *Diakité, Penda. Baba Wague Diakite (illus.) I Lost My Tooth in Africa. New York: Scholastic, 2006. Diouf, Sylviane. Shane W. Evans (illus.) Bintou’s Braids. San Franciso: Chronicle Books, 2001. Doner, Kim. On a Road in Africa. Berkeley, CA: Tricycle Press, 2008. *Ellabbad, Mohieddine. Illustrator’s Notebook. Groundwood Books, 2006. Graber, Janet. Scott Mack, (illus.) Muktar and the Camels. New York: Henry Holt and Co., 2009. *Erskine, Kathryn. Mama Africa! How Miriam Makeba Spread Hope with Her Song. New York: Farrar, 2017. Grant, Karima. Montecalvo, Janet (illus.) Sofie and the City. Honesdale, PA: Boyds Mills Press, 2006. Gregorowski, Christophe. Fly Eagle Fly ! An African Tale. New York: Margaret K. McElderry, 2000. Grifalconi, Ann . Kadir Nelson (illus.) Village that Vanished. New York: Penguin / Dial Books for Young Readers, 2002. Grosleziat, Chantal (compiler), Mindy, Paul (musical arrangements). Nouhen, Elodie (illus.) Songs from the Baobab: African Lullabies & Nursery Rhymes . Montreal: The Secret Mountain, 2011. Haley, Gail. A Story, a Story : An African Tale. Macmillan, 1970. Haskins, James//Benson, Kathleen. African Beginnings. New York: Lothrop, Lee and Shepard, 1998. *Hoffman, Mary. Boundless Grace. New York: Penguin/Dial, 1995. *Ichikawa, Satomi. My Father’s Shop. La Jolla: Kane / Miller, 2006. *Isdahl, Nansubuga. Sandra van Doorn (illus.) Sleep Well Siba & Saba. London: Lantana, 2017. *Johnson, Jen Cullerton. Sonia Lynn Sadler (illus.) Seeds of Change : Planting a Path to Peace. New York: Lee & Low Books, 2010. *Kahiu, Wanuri.Manuela Adreani (illus.) The Wooden Camel. Minneapolis: Lerner, 2017. *Kamkwamba, William and Mealer, Bryan. Zunon, Elizabeth (illus.) The Boy Who Harnessed the Wind. New York: Dial Books for Young Children, 2012. Kessler, Cristina. Leonard Jenkins (illus.) The Best Beekeeper of Lalibela. New York: Holiday House, 2006. Kilaka, John . Kilaka, John (illus.) The Amazing Tree. New York, NY: North-South, 2009. *Kirmani, Mubina Hassanali. Tony Siema (illus.) Bundle of Secrets : Savita Returns Home. CreateSpace Independent Publishing Platform, 2013. *K’Naan. Rudy Gutierrez (illus.) When I Get Older : The Story Behind Wavin’ Flag. Tundra Books. *Knight, Margy Burns and Mark Melnicove. Anne Sibley O’Brien (illus.) Africa is not a Country. Brookfield, CT: Millbrook Press, 2000. *Knowles, Kathy; Edmund Opare (illus.) Nana and Me. Winnipeg, Canada: Osu Children’s Library Fund, 2015. , ISBN 978 1 928093 02 2 (pap). Kurtz, Jane. E.B. Lewis (illus.) Faraway Home. New York: Harcourt, 2000. Kurtz, Jane. Isadora, Rachel (illus.) In the Small, Small Night. New York: Greenwillow, 2005. Kurtz, Jane; Bernhard, Durga (illus.) Trouble. New York: Harcourt, Brace and Co./Gulliver Books, 1997. LaTeef, Nelda. Hunter and the Ebony Tree. North Kingstown, RI: Moon Mountain, 2002. LaTeef, Neldal. Animal Village. Sub-Saharan (ABC Collective), 2018. Lester, Julius. John Clapp (illus.) Shining. New York: Harcourt, 2003. Lester, Julius. Pinkney, Jerry (illus.) The Old African. New York: Dial/Penguin, 2005. MacDonald, Margaret Read; Mabela the Clever. Morton Grove, Ill.: Albert Whitman, 2001. Mallam, Sally. Dende Maro : The Golden Prince. Los Altos, CA: Hoopoe Books, 2009. *McBrier, Page. Lori Lohstoeter (illus.) Beatrice’s Goat. New York: Antheneum / Simon and Schuster / Anne Schwartz, 2001. Mandela, Zindzi et al. Grandad Mandela. Lincoln Children’s Books, 2018. McDermott, Gerald. McDermott, Gerald (illus.) Anansi the Spider: A Tale from the Ashanti. Henry Holt, 1972. McKissack, Patricia. Dillon, Leo & Dillon, Diane (illus.) Never Forgotten. New York: Schwartz & Wade Books, 2011. McQuinn, Anna. McQuinn, Anna & Frey, Ben (illus.) My Friend Jamal. Toronto: Annick, dist. by Firefly, 2008. *Milway, Katie Smith. Fernandes, Eugenie (illus.) One Hen : How One Small Loan Made a Big Difference. Toronto, ON: Kids Can Press, 2008. Milway, Katie Smith. Fernandes, Eugenie (illus.) Mimi’s Village: And How Basic Health Care Transformed It. Toronto: Kids Can Press, 2012. *Mollel, Tololwa. E. B. Lewis (illus.) My Rows and Piles of Coins. New York: Clarion Books, 1999. Mollel, Tololwa. Orphan Boy: A Maasai Story. Clarion Books, 1990. Mollel, Tololwa . Linda Saport (illus.) Subira, Subira. New York: Clarion, 2000. Moodie, Fiona ; Noko and the Kool Kats. : Tafelberg/NB Publishers , 2014. *Mollel, Tololwa M. E.B. Lewis (illus.) Big Boy. New York: Houghton Mifflin/Clarion, 1995. *Moriarty, Kathleen. Amir, Amin (illus.) Wiil Waal: A Somali Folktale. St. Paul, MN: Minnesota Humanities Commission, 2007. Musgrove, Margaret. Boulandi, Bat Favitson (illus.). The Spider Weaver : A Legend of Kente Cloth. Baltimore, Apprentice House, 2015. *Naidoo, Beverley. Das, Prodeepta (illus.) S is for South Africa. London, England: Frances Lincoln Children’s Books, 2010. Naidoo, Beverley. Piet Grobler (illus.) Aesop’s Fables. London: Frances Lincoln, 2011. *Nelson, Marilyn. Kuru Art Project (illus.) Ostrich and Lark. Honesdale : Boyds Mills Press, 2012. *Nivola, Claire A. Planting the Trees of Kenya: The Story of Wangari Maathai. New York: Farrar, Straus, and Giroux, 2008. *Njeng, Pierre Yves. Vacation in the Village : A Story from West Africa. Honesdale, Pennsylvania: Boyds Mills Press, 1999. *Okorafor, Nnedi. Chicken in the Kitchen. London, Lantana, 2015. Oliver, Leah; Greg Cradick (illus.). B is for Book : An English – Amharic ABC Book. Ethiopia Reads, 2013. *Onyefulu, Ifeoma. An African Christmas. London : Francis Lincoln / African Books Collective (dist. ), 2005. Onyefulu, Ifeoma; Chidi Only Likes Blue: An African Book of Colors. New York: Dutton/Cobblehill Books, 1997. Onyefulu, Ifeoma. Emeka’s Gift, An African Counting Story. New York: Dutton/Cobblehill Books, 1995. Onyefulu, Ifeoma. Food. London: Frances Lincoln, 2012. Onyefulu, Ifeoma. Grandfather’s Work : A Traditional Healer in Nigeria. Brookfield, Conn.: Millbrook Press, 1998. *Onyefulu, Ifeoma. Here Comes Our Bride: An African Wedding Story. Frances Lincoln / USA Publishers Group, 2004. Onyefulu, Ifeoma. Home. London: Frances Lincoln, 2013. Onyefulu ifeoma. Ife’s First Haircut. London: Frances Lincoln, 2014. Onyefulu, Ifeoma. New Shoes for Helen. London: France Lincoln Children’s Books, 2011. Onyefulu, Ifeoma. Omer’s Favorite Place. London: Frances Lincoln Children’s Books, 2011. Onyefulu, Ifeoma. Play. London: Frances Lincoln, 2013. Onyefulu, Ifeoma. Welcome Dede! An African Naming Ceremony. London: Lincoln, 2003. Osei, Leah. 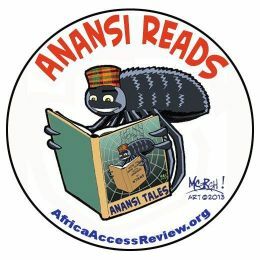 Why Anansi Has Eight Legs : A Tale from West Africa. Huntington Beach, CA: Teacher Created Materials, 2014. *Paul, Miranda. One Plastic Bag :Isatou Ceesay and the Recycling Women of Gambia. Milbrook Press, 2015. Paye, Won-Ldy and Lippert, Margaret H. . Julie Paschkis (illus.) Head, Body, Legs: A Story from Liberia. New York: Henry Holt, 2002. Paye, Won-Ldy and Margaret H. Lippert. Julie Paschkis (illus.) Mrs. Chicken and the Hungry Crocodile. New York: Henry Holt, 2003. Paye, Won-Ldy and Margaret Lippert. Julie Paschkis (illus.) The Talking Vegetables. New York: Henry Holt, 2006. *Prévot, Franck; Fronty, Aurélia (illus.) Wangari Maathai : The Woman Who Planted Millions of Trees. Watertown MA: Charlesbridge, 2015. *Raven, Margot Theis. E.B. Lewis (illus.) Circle Unbroken. New York: Farrar, Straus & Giroux, 2004. Richards, Michael; David Wolobah (illus.) How Plover Bird Came to Clean Crocodile’s Teeth: A West African Tale. Lebanon: Arab Printing Press, 2013. Riordan, James / Jenny Stow (illus.). Coming of Night : A Yoruba Tale from West Africa. Frances Lincoln, 1999, 2011. *Roth, Susan and Karen Leggett Abouraya. Roth, Susan (illus.) Hands Around the Library : Protecting Egypt’s Treasured Books. New York: Dial, 2012. Sabuda, Robert. Tutankhamen’s Gift. New York: Macmillan/Atheneum, 1994. *Sisulu, Elinor Batezat. Sharon Wilson (illus.) The Day Gogo Went to Vote. Boston: Little, Brown, 1996. Skinner, Ryan Thomas. Sidikiba’s Kora Lesson. Edina, Minnesota: Beaver Pond Press, 2008. Steptoe, John. Mufaro’s Beautiful Daughters. Lothrop, 1987. Stevenson, Tambra Raye. Little Wanda Finds a Cure for Nana. Washington Women Advancing Nutrition Dietetics and Agriculture, 2017. Stock, Catherine. Gugu’s House. New York: Clarion, 2001. *Stuve-Bodeen, Stephanie . Aaron Boyd (illus.) Babu’s Song. New York : Lee & Low, 2003. Tadjo, Veronique. Grandma Nana / Nana Nine. Cincinnati (dist.) London: Asia for Kids (dist.) Milet Publishing Ltd, 2002. Tadjo, Veronique. The Lucky Grain of Corn. Cincinnati: Asia for Kids (dist. ), 2000. Tadjo, Veronique. Mamy Wata and the Monster. London: Milet, 2000. Tchana, Katrin. Sense Pass King : A Story from Cameroon. New York: Holiday House, 2002. *Thompson, Laurie Ann; Qualls, Sean (illus.) Emmanuel’s Dream : The True Story of Emmanuel Ofosu Yeboah . New York, NY: Random House / Schwartz & Wade , 2015. *Tutu, Desmond and Abrams, Douglas Carlton. Ford, A.G. (illus.) Desmond and the Very Mean Word: A Story of Forgiveness. Somerville, MA: Candlewick Press, 2013. *Walters, Eric. Campbell, Eva (illus.) The Matatu. Victoria, B.C. : Orca Book Publishers, 2012. *Weitzman, David L. . Pharaoh’s Boat. New York, NY: Houghton Mifflin Books for Children, 2009. Williams, Karen. Catherine Stock (illus.) Galimoto. Lothrop, 1991. Williams, Mary. R. Gregory Christie (illus.) Brothers in Hope: the story of the Lost Boys of Sudan. New York: Lee & Low, 2005. *Williamson, Emily. Gizo-Gizo A Tale from the Zongo Lagoon. Ghana Sub-Saharan Publishers, 2016. Winmilawe, Jaye. Tewodross Melchishua (illus.) Shango’s Son. Gazing In Publishing, 2012. Winter, Jeanette. September Roses. New York: Farrar, 2004. Winter, Jeanette. Wangari’s Trees of Peace : a true story from Africa. Orlando, FL: Harcourt Children’s Books, 2008. *Wisniewski, David. Sundiata: Lion King of Mali. : Clarion, 1992. Wulfsohn, Gisele. Bongani’s Day : From Dusk to Dawn in a South African City. London, England: Frances Lincoln Children’s Books, 2002. Wyk, Chris van. Paddy Nouma (illus.) Nelson Mandela Long Walk to Freedom. New York: Macmillian, 2009. *Yohannes, Gebregeorgis. Bogale Belachew (illus.) Silly Mammo : An Ethiopian Tale. Grand Forks, ND, African Sun Publishing, 2002.